The last time Kyadondo Grounds was filled to capacity was during the Valu Valu Concert with hardly any breathing space as fans came in large numbers to support Jose Chameleone. KT Promotions the group that brought the late Lucky Duby in the year 2003 are the ones behind the Battle of Champions show slated for this coming Friday at Kyadondo Rugby Grounds and on Sunday in Entebbe. 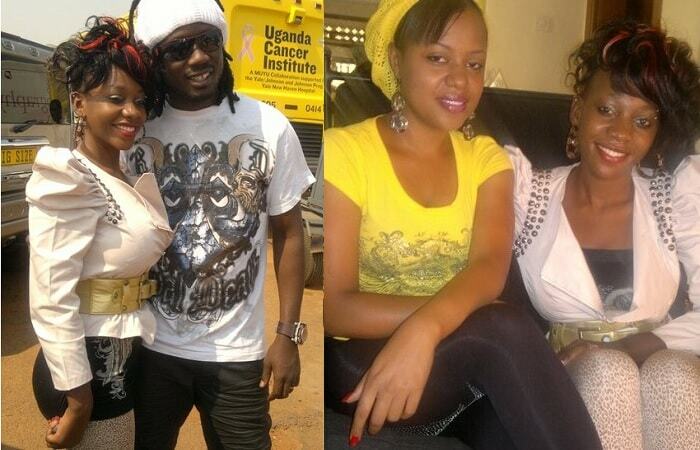 They want to see if these guys combined can measure up to Jose Chameleone in terms of fans. Bebe Cool got to the venue as early as 11am and started inspecting the area plus what the Silk Events' guys were installing. Bobi Wine was not very far from the venue as his crew who were in the Angry Management van updated him of the proceedings. On learning that Bebe had arrived, the van drove off and within minutes, it was back with Bobi Wine who first stayed in the van for some time. 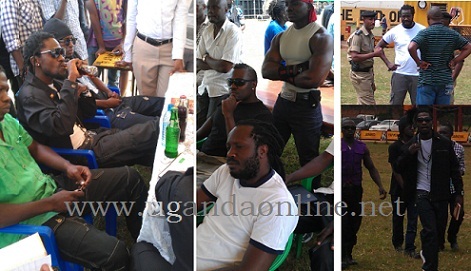 The police officers, journalists took to their positions as they waited for the artistes to assume their seats. Bobi Wine came bouncing all the way with his crew members, said hello to whoever was there and took his seat. By then Bebe Cool was with one of his crew members recording his speech and as that went on Bobi said; "Demakakana Wen Deyma See Me"
That should be a mixture of English, Luganda and Jamaican Patwa. Bebe joined everyone looking very composed and sat following everything attentively. The press conference was highlighting how the event will flow. Police officers have already been deployed at the venue to ensure it's safe. The police added that they will not be bottled drinks so beers will have to be served in disposable glasses. At the end of the press briefing, KT Promotions guys got a coin to which Bebe and Bobi chose a side and it was Bebe Cool's side on the top implying that he will be the first to perform. Fans have however demanded that there should not be a repeat of the Golola/Naggy scenario which left the revellers very confused on who had won. They demand that someone should be able to tell the fans on Friday who the winner is since it is a music battle. 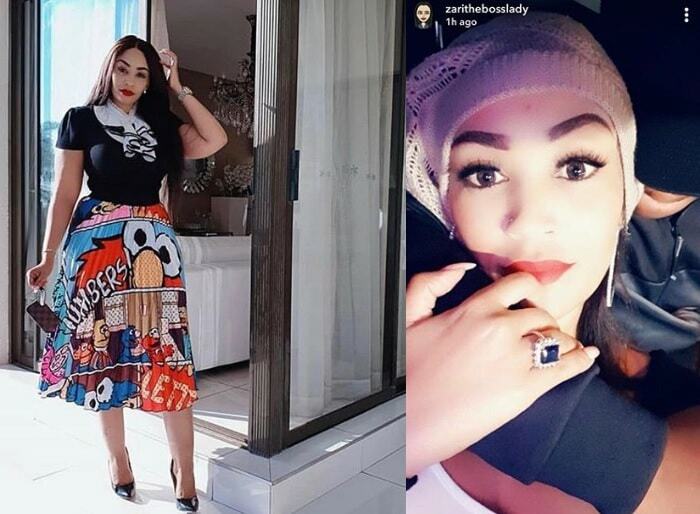 The promoters said that that will not be possible before the Sunday show forcing Bobi to interject by saying that the Friday show should be the determinant of who the winner is. They later got to a consensus that the fans will be the judges.